West Bengal Council of Higher Secondary Education board (WBCHSE) has announced the examination schedule (time table ) for class 12 (HS), which is scheduled to be held from March 15 to March 29, 2017.You can check subject wise exam routine online and download the PDF copy of date sheet for your reference. WBCHSE candidate for More details, Please go through the official website of WBCHSE Time Table: For Class 12 Exam Time Table Please click on the link WBCHSE. H.S. 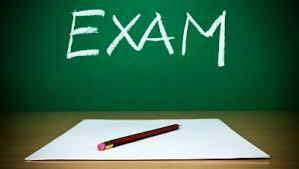 Exam Schedule for 2016 - 2017 Class- XII (WBCHSE) Uchha Madhyamik Examination (WBCHSE) Routine and Time Schedule (Higher Secondary) 2017 H.S. Exam Schedule for 2016 - 2017 Class- XII (WBCHSE) Uchha Madhyamik Examination (WBCHSE) Routine and Time Schedule (Higher Secondary) 2017. Higher Secondary Annual Exam Time-Table for 2017 (Tentative). 15.03.2017 (Wednesday) - Bengali (A), English (A), Hindi (A), Nepali (A), Urdu, Santhali, Odia, Telegu, Gujrati, Punjabi. 17.03.2017 (Friday) - English (B), Bengali (B), Hindi (B), Nepali (B), Alternative English. 18.03.2017 (Saturday) - Computer Science, Modern Computer Application, Environmental Studies, Health & Physical Education, Music, Visual Arts. 20.03.2017 (Monday) - Mathematics, Psychology, Anthropology, Agronomy, History. 22.03.2017 (Wednesday) - Physics, Nutrition, Education, Accountancy. 24.03.2017 (Friday) - Chemistry, Economics, Journalism & Mass Communication, Sanskrit, Persian, Arabic, French. 25.03.2017 (Saturday) - Statistics, Geography, Costing and Taxation, Home Management and Family Resource Management. 27.03.2017 (Monday) - Biological Science, Business Studies, Political Science. 29.03.2017 (Wednesday) - Commercial Law and Preliminaries of Auditing, Philosophy, Sociology. wrong schedule. there is no schedule of Sanskrit.